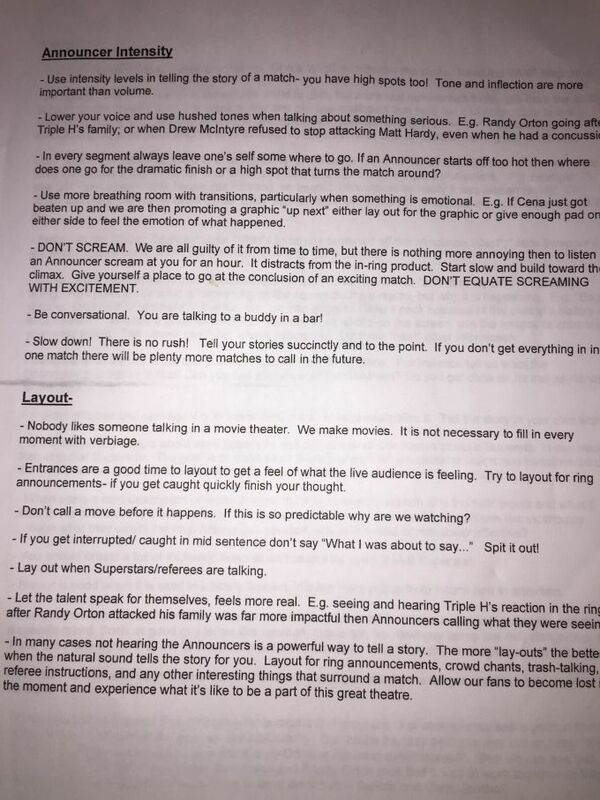 WWE fan's are getting another peek behind the curtains after Reddit's r/SquaredCircle forum posted the guidelines given to the company’s announcers. 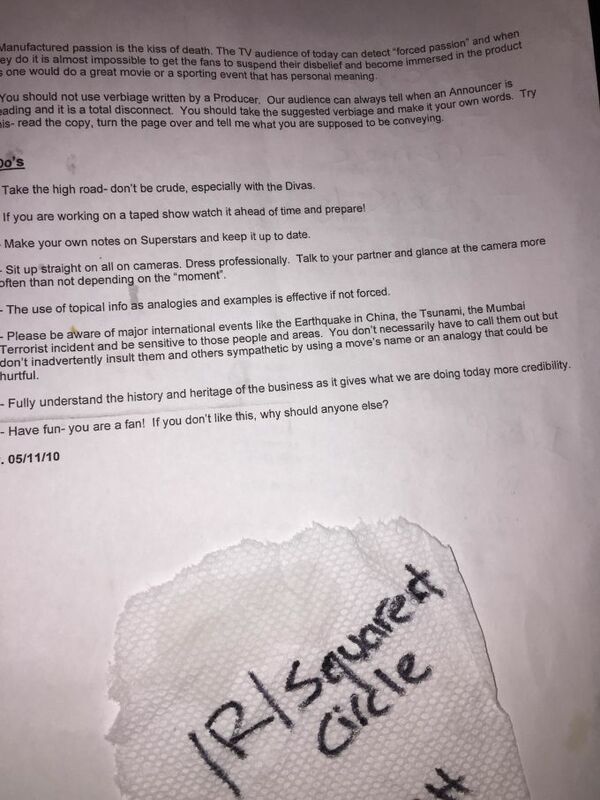 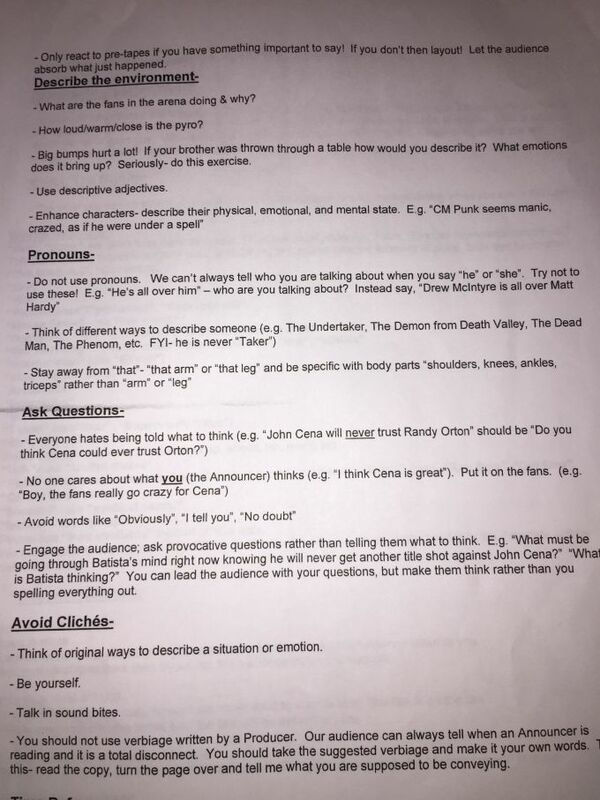 WWE fan's are getting another peek behind the curtains after Reddit's r/SquaredCircle forum user KingJobbah posted what it claims are the guidelines given to the company’s announcers. 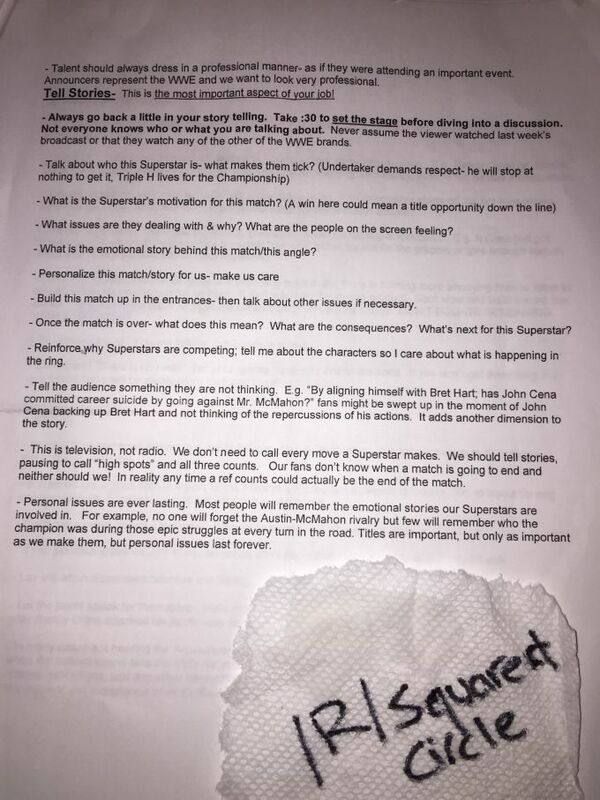 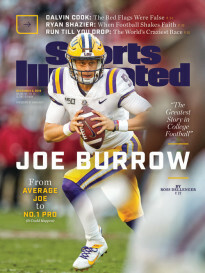 The eight pages of notes includes a lot of obvious stuff for announcers of any sport, including not talking over every second of action, refraining from yelling as much as possible, and making sure to do plenty of prep work before the shows. 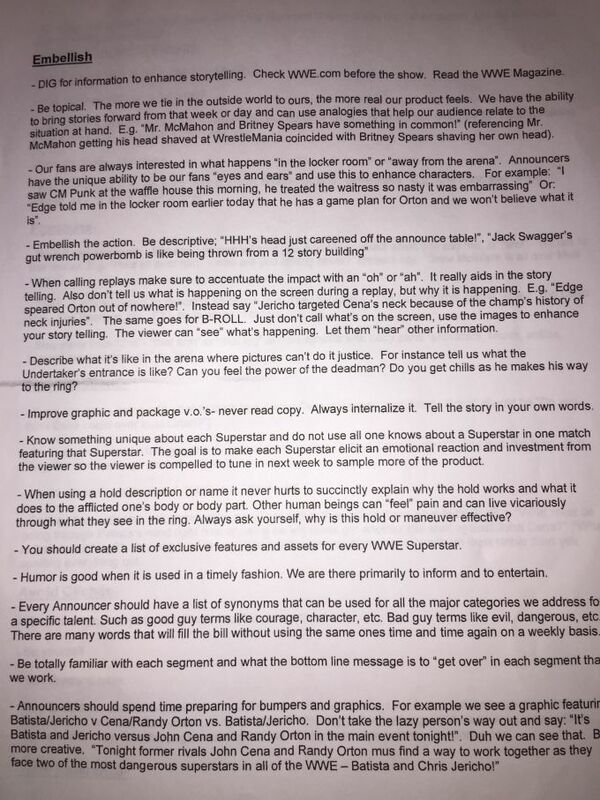 There is also some more specific directives intended to shape the tone of the company’s broadcasts, such as avoiding terms like “hatred,” “blood,” and avoiding calling the company’s signature event WrestleMania the “Grandaddy of them all” because it makes the company seem old. 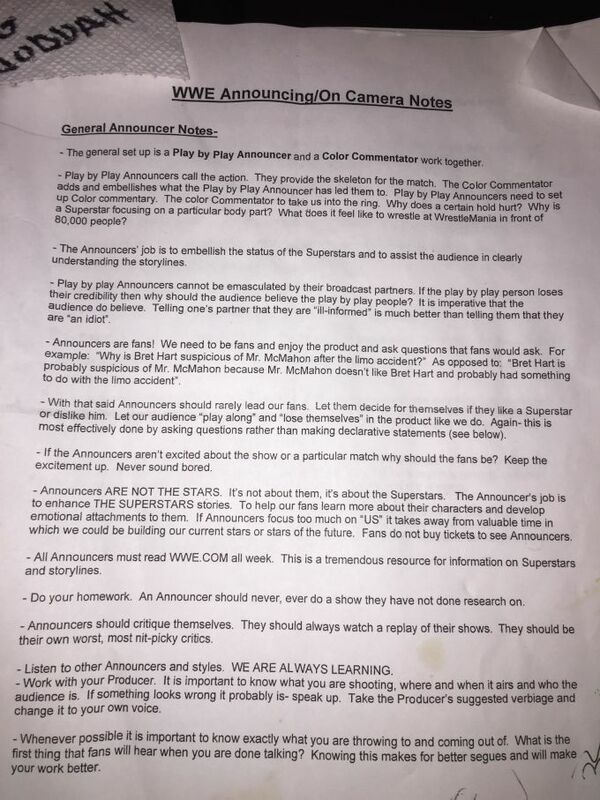 The extensive notes are a fascinating read for any fan of pro wrestling past or present, and can be seen in the photos of the manual reproduced below.